Lemon basil oolong - Monsieur T.
Unique and fragrant, Oolong Lemon basil gives you instant Italian charisma. Use it wisely. Basically, in the cooking world, lemon and basil are a winning combination. 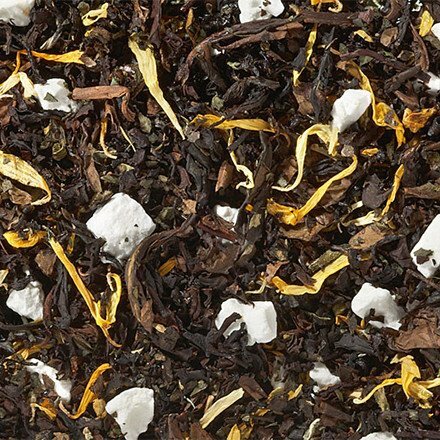 In an Oolong tea with buds of calendula flowers; lemon and basil are even more harmonious and take you elsewhere: an imaginary country that lies on the borders of China and Italy. Basil lovers will be served! Contains: Oolong tea, basil, lemon granules, flavors, marigold flowers gardens.